If you’re a loyal reader of our blog, and I know you are, then you know we’ve already got you covered when it comes to birthday parties. Well, at least for kids. But what if you’re not celebrating your 12th birthday? What if you’re getting a bit closer to, say, 35? Maybe 40? Well, little did you know, that’s the PERFECT age for an epic laser tag battle! Who doesn’t like a little throwback to their childhood when they get another year older and another year sorer? So get up off the couch, stretch out those hammies for a good ten minutes, loosen up your lower back, and mentally transform into the 10-year-old version of yourself. Okay, youngin’, here are the essentials for your party! Nothing takes you back to the arcade like the Battle Rifle. 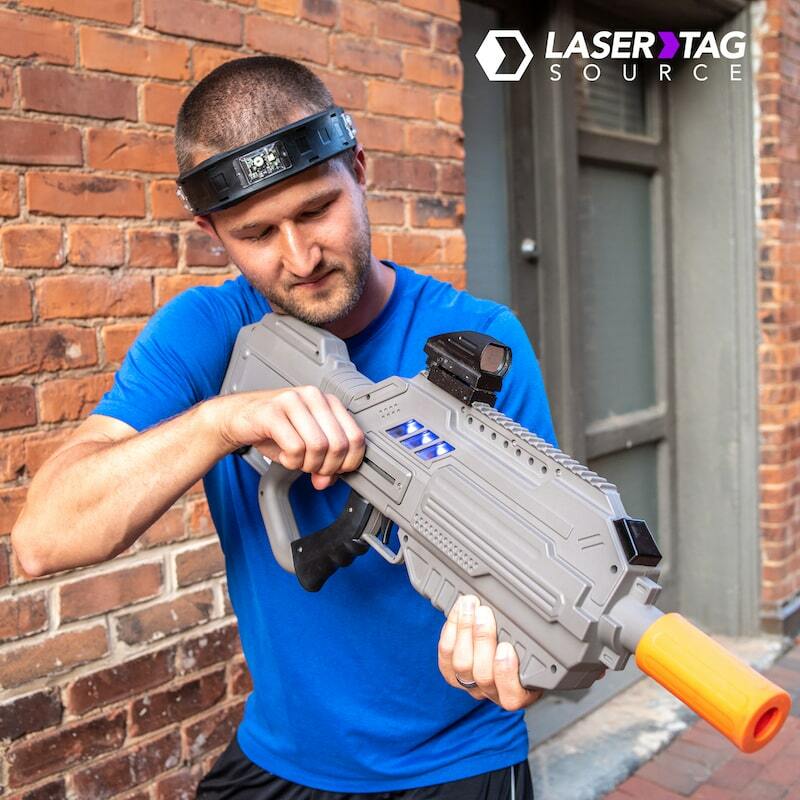 It has all of the features of the best and newest laser tag guns, but it’s made in the spirit of nostalgia. 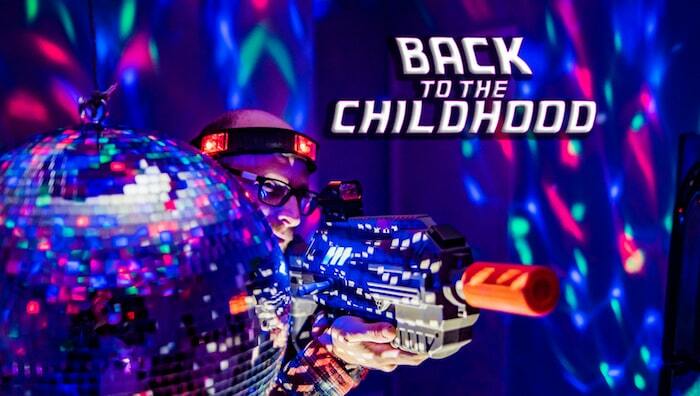 If you could put the feeling of being a child in the 80’s arcade into a laser tagger, the Battle Rifle would have it! Pick between four game modes. First up: Team Deathmatch and Free-For-All. These two game modes may sound traditional, but they come with a wealth of options! Customize your game time and respawn time, then get to the real feature: six different weapon styles. So whether you’re a sniper, a run-n-gunner, or a tactical expert, the Battle Rifle comes with a weapon choice that suits your needs. But the fun doesn’t end there! You can also select one of a variety of perks. Maybe you’d like a medkit to help heal your teammates. Or perhaps a laser-stuffed concussion grenade? With so many options, you’ll never get bored with these two game modes. Of course, in the event you want to try something new, there is a three-team faction mode called Supremacy, and a zombie-esque survival mode called, you guessed it, Survivor. I shouldn’t even need to explain this, but I will. It’s simple: nothing takes you back to your favorite moments like music. So hook up that snazzy new-tech bluetooth device, open up that snazzy new-tech radio app, and throw on the Summer Hits of the 80’s (or 90’s) playlist. Boom! Nostalgia is setting in. You’ve got the taggers and the music, but you still need ONE more ingredient to successfully Marty McFly yourself back in time. 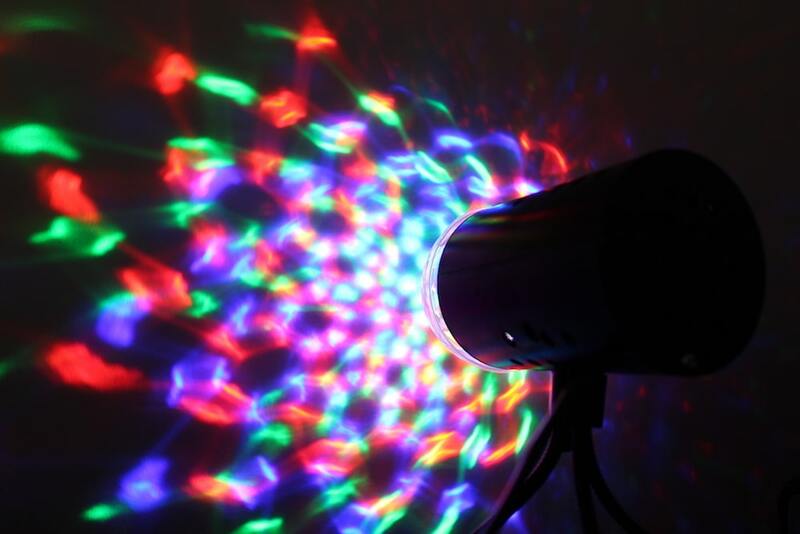 The Party Lights! 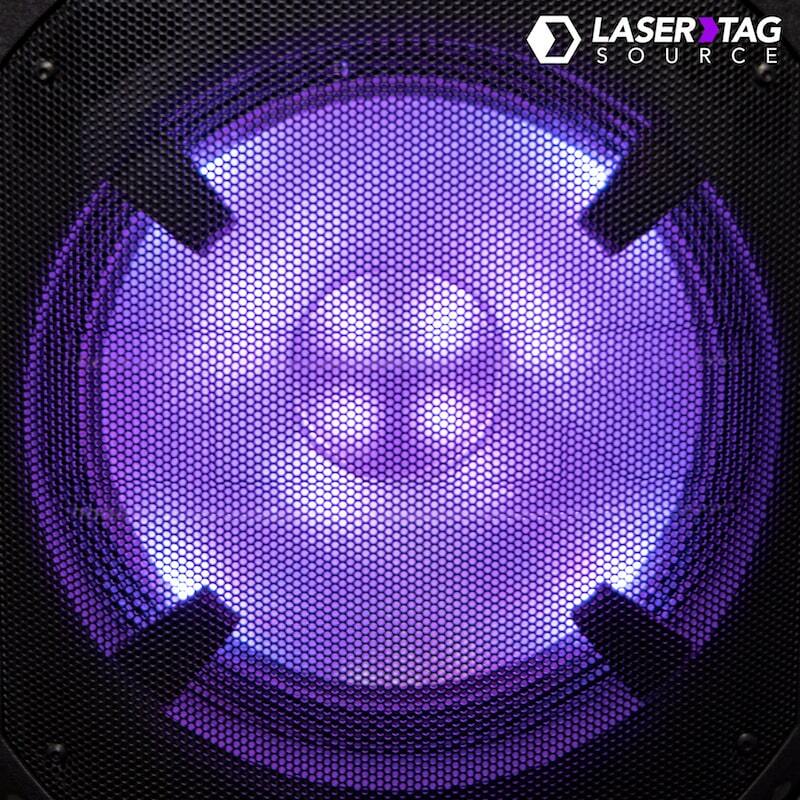 Few things scream nostalgia quite like disco balls, and our party light system is sure to light up any indoor venue with all sorts of neon reds, blues, and greens. You’re all set! Of course, the possibilities are endless. Maybe you want to throw on some background 80’s sci-fi movies. Easy! Just rent our big screen! Or you’re ready to take the battle to the next level with some bunkers. Even easier! Check out our package deals that come with both Battle Rifles and Bunkers! Whatever you end up doing, if you have those three essentials, you’ll successfully turn back into a child for a day. Just remember to take a few minutes after the game to stretch out and hop in the ice bath.